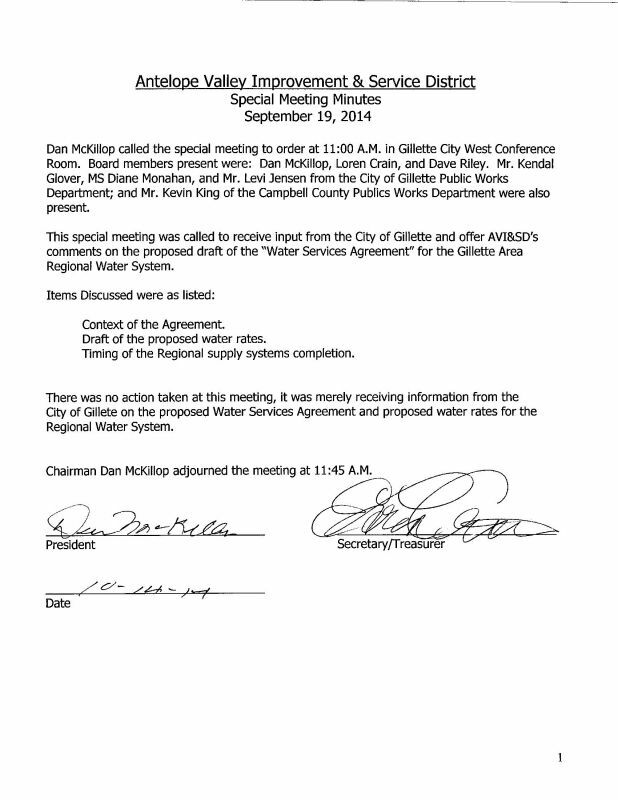 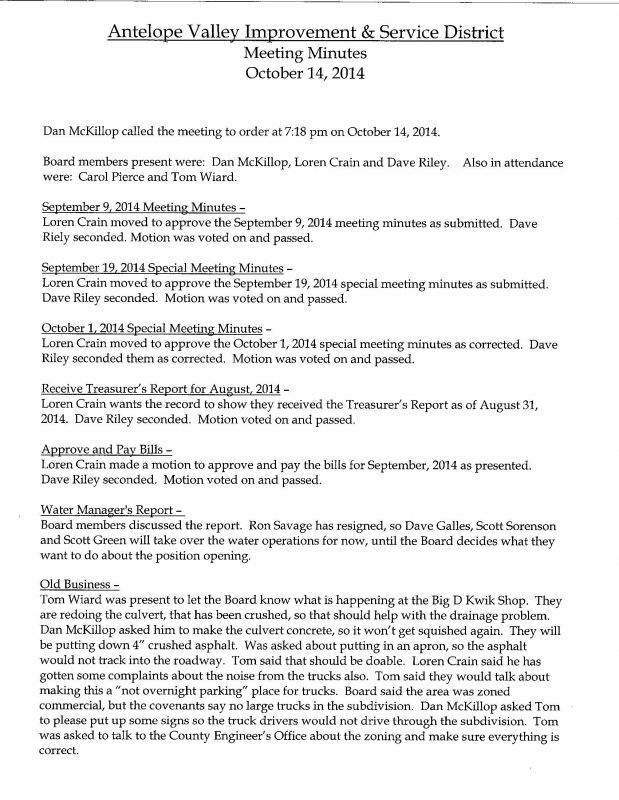 Meeting Minutes are posted as soon as possible after the next month's regularly scheduled board meeting so long as the meeting is held as scheduled and they are approved by the Board(s). 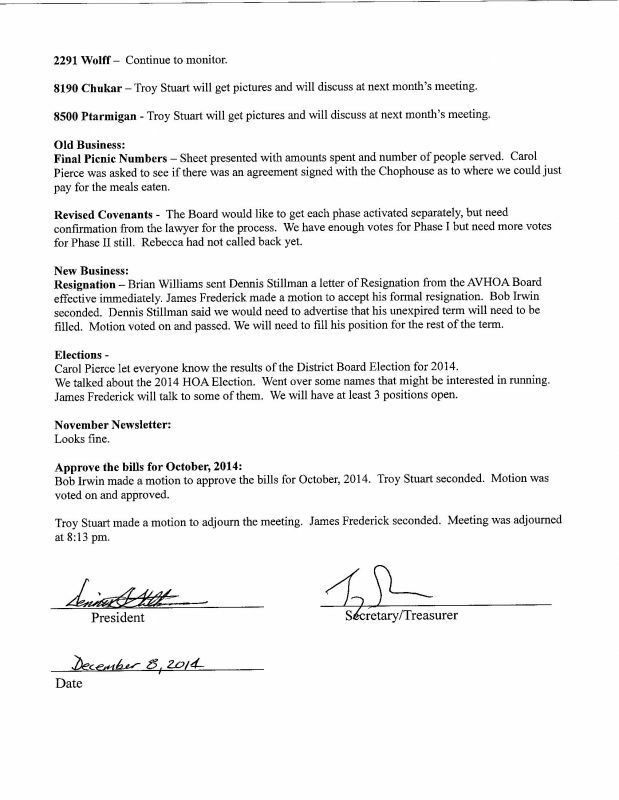 Please DO NOT call looking for minutes from the current month until after the board meeting the following month. 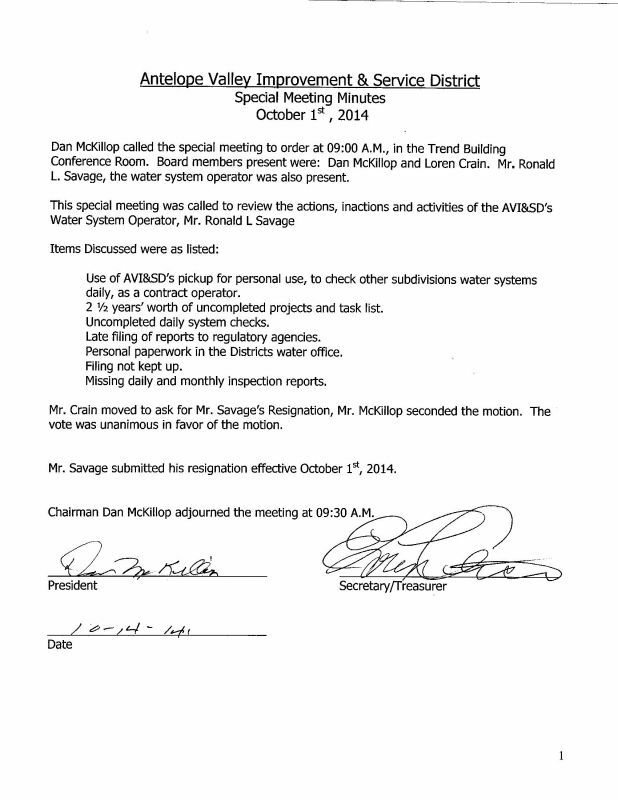 Until they are approved by a quorom vote they do not exist. 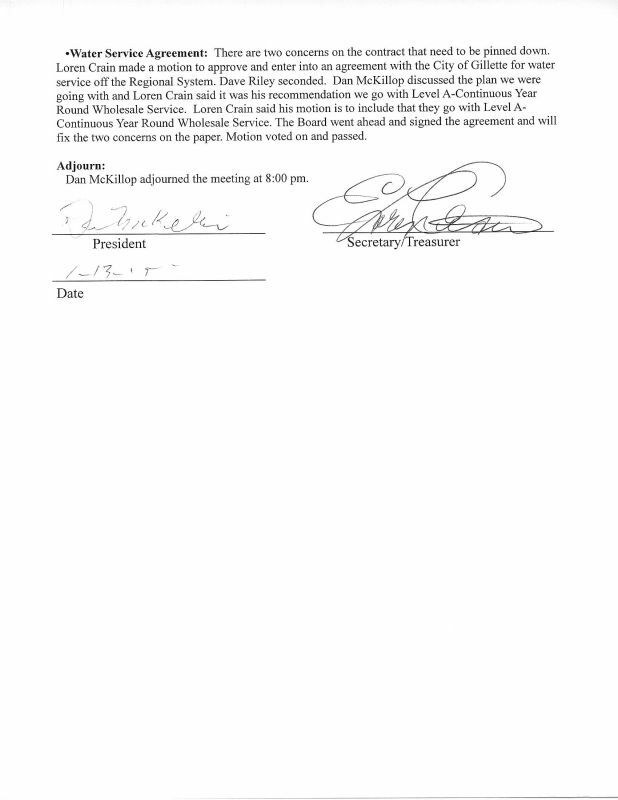 If you would like copies made of the minutes and e-mailed or mailed to you please call the office at 307-685-8235, but be aware there is a nominal charge for this service. 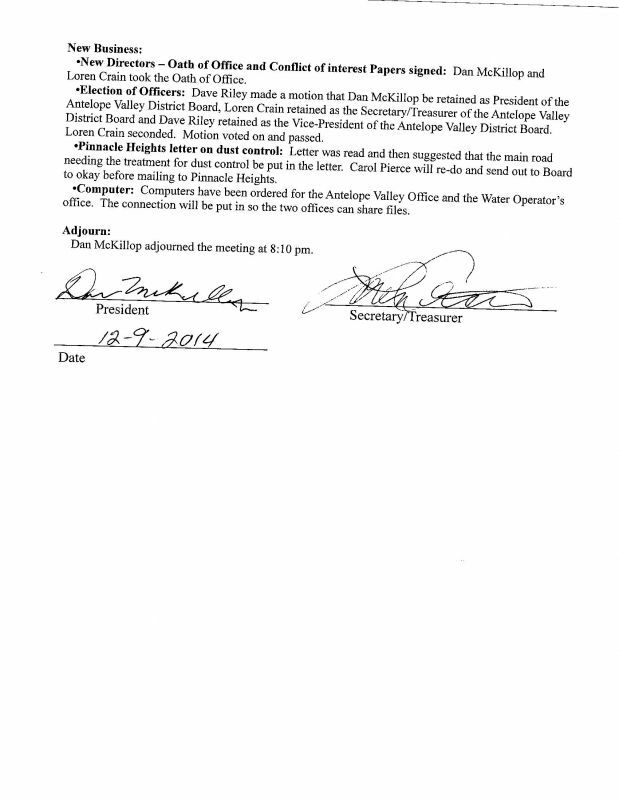 Sept. 19, 2014 AVISD Special Mtg. 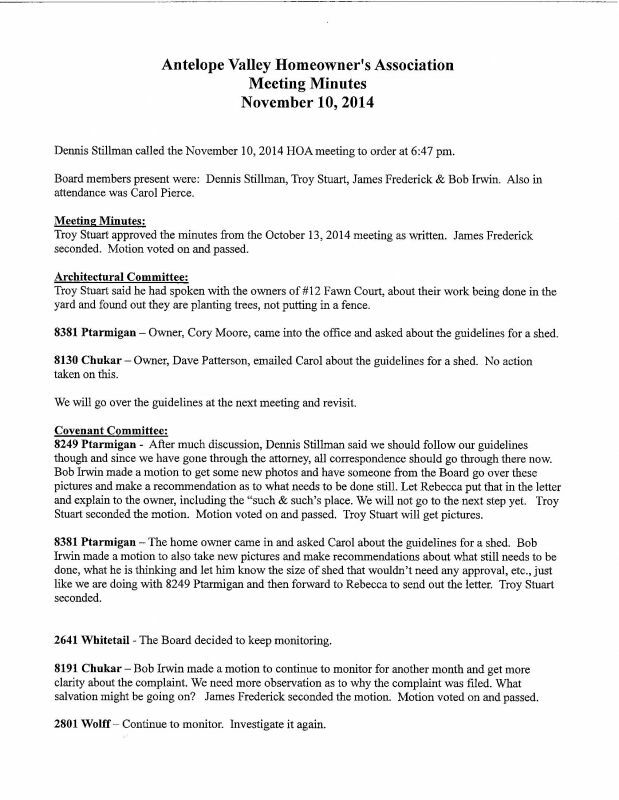 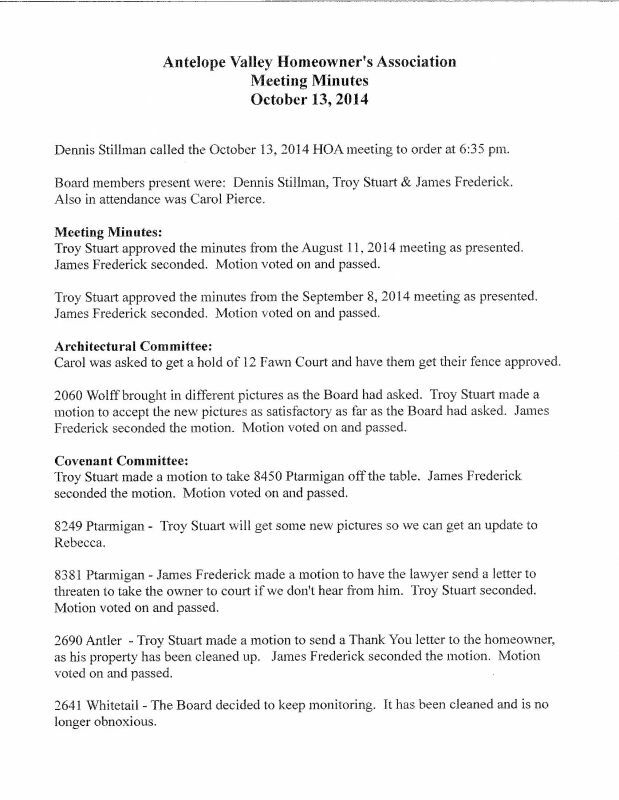 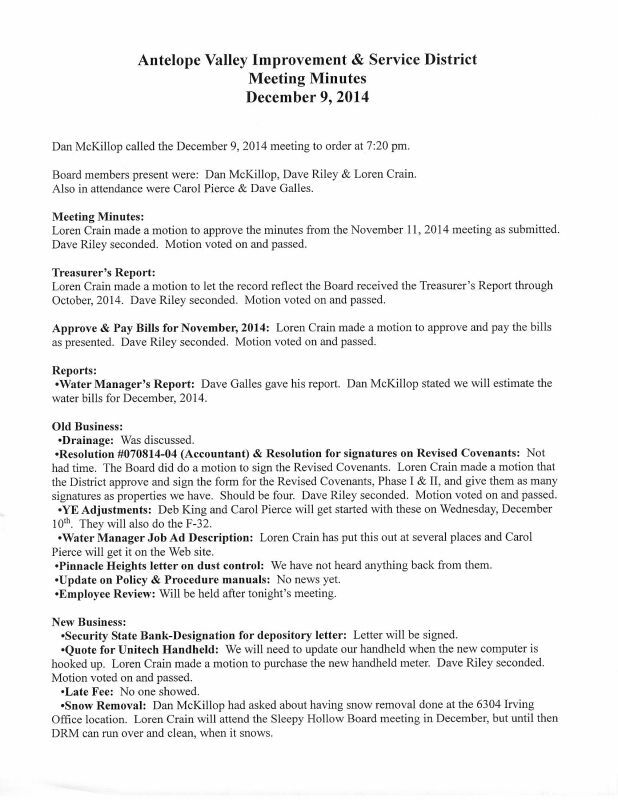 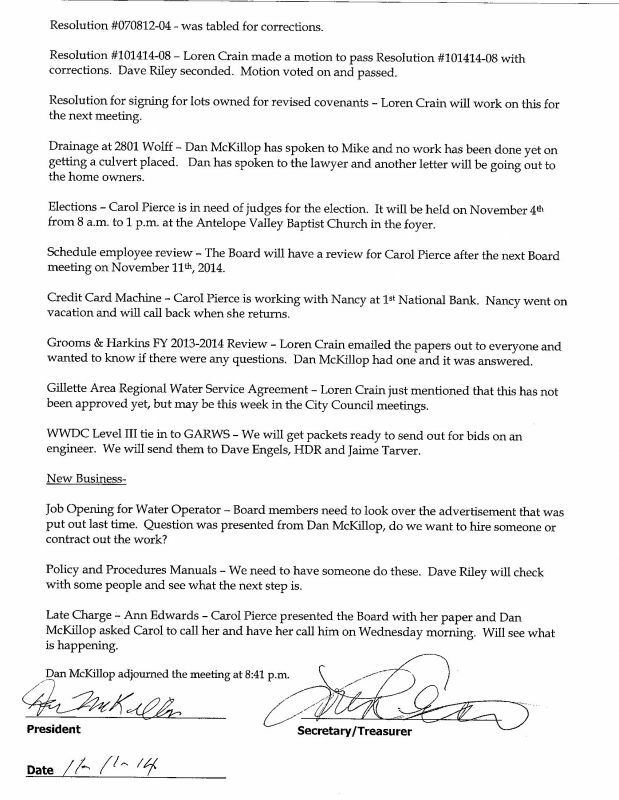 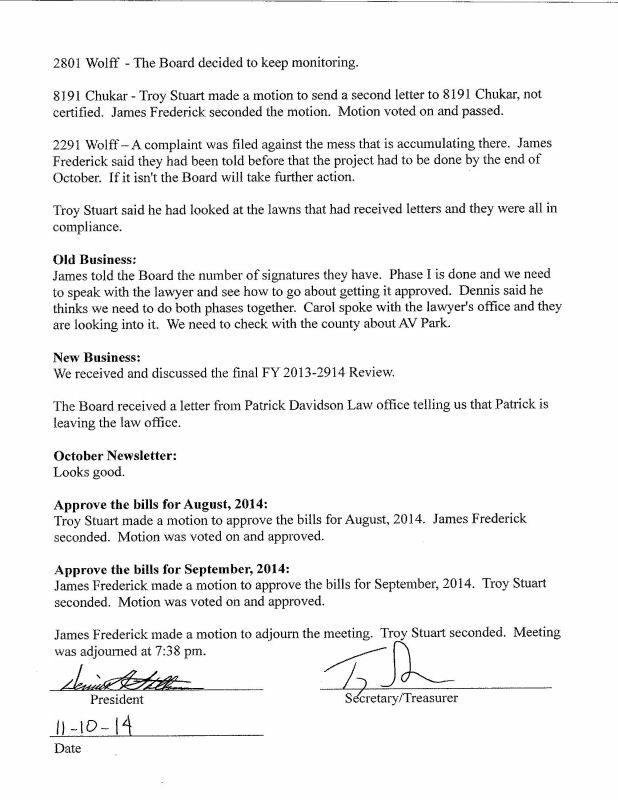 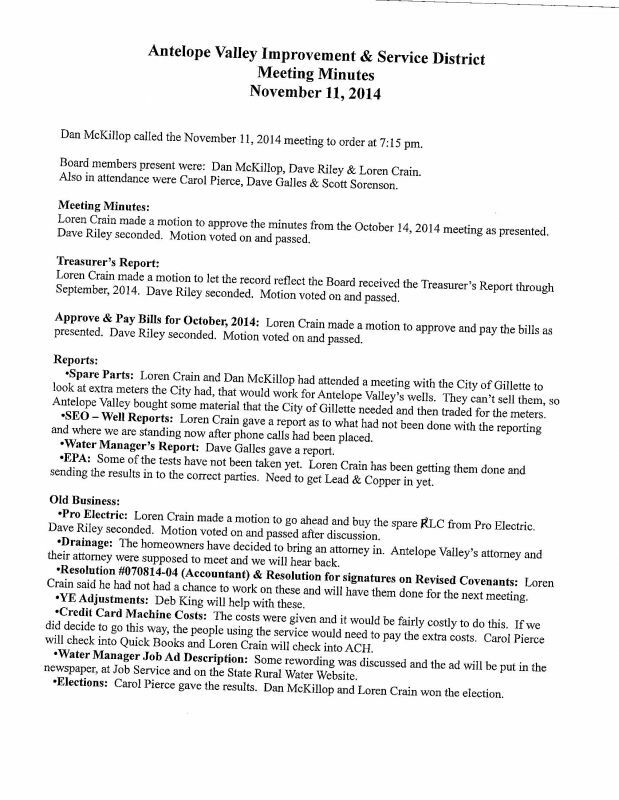 Oct. 1, 2014 AVISD Special Mtg.